Visit China Shenzhen is never been an obsolete topic. 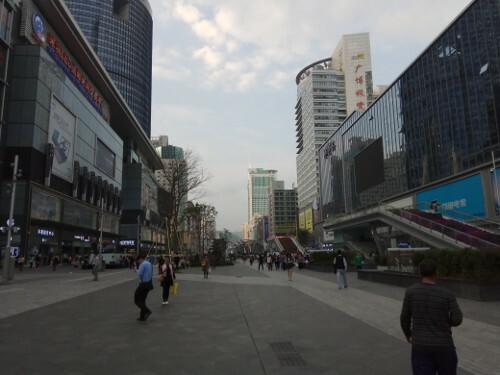 China Shenzhen is a metropolitan city located in southern part of China. 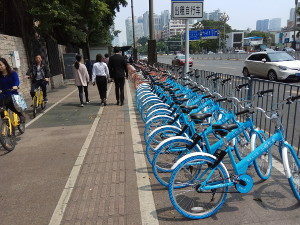 I had been written several blogs about Shenzhen city since our blog started several years ago. Today, I would like to put up some latest update about this city. For most country, you require to apply China VISA before you entering China. This apply to Malaysia citizen too. Please kindly read our related blog about applying China VISA in Malaysia. Well known budget airline, Air Asia has setup a 3 direct flight from Kuala Lumpur to Shenzhen. I always prefer the flight depart at 4:40pm in KL and arrive Shenzhen around 9pm. After immigration check and collect luggage, you will lead to the beautiful Shenzhen airport arrival hall. Personally I prefer taking Shenzhen MRT. There is one MRT entrance after you come out from the customs check point. Take the moving down left and you will lead to the MRT entrance. About 45min, the MRT will lead you to the FuTian Transport Hub. Futian Transport Hub is the largest underground transportation hub in Asia. 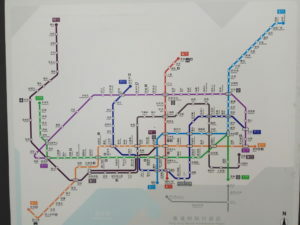 You could get MRT connection, High Speed Train Connection throughout China. If you are arriving Shenzhen airport after 11pm, you are most likely miss out the last MRT. I would recommend you take the ordinary “Red” Colour Taxi to the Shenzhen city. Transport fare around RMB150 include RMB10 highway toll. Get a Shenzhen Tong card(深圳通) and top up RMB50, it is good for you to travel in MRT and bus in the city without bordering about preparing coin. Blogger has their own must visit list for this topic, I have my too! Here are my sites seeing list in Shenzhen city. Tong Men. This place mainly for clothing. Many ladies can find their preferable fashion here. Hua Qia ng Bei. This is the place for people who want to get electronic gadget. Even though e-commerce is getting popular, but it is another type of experience to see, feel all those parts yourselves. 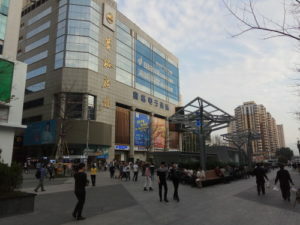 Futian Book City or Children Palace. Book city definitely is good for books and leisure. You can get Startbuck here too! Preferable go on evening. Spending an hour or two in the book city, having dinner and wondering around in the square. Shekou. Shekou is good for leisure. Just wondering around in Shekou during the evening and having dinner is a good choice. BijiaShan or LianHuaShan. Both park located in Futian district, and quite an easy hiking trip. Plan a decent hiking session in Shenzhen definitely a good choices too! Spending an hour walking in the park enjoying the Shenzhen city view. May to Oct consider hot weather in Shenzhen. You may experience Taifeng(hurricane) at this period too! Walking under hot sun is not a good idea especially at the afternoon. The hot sun will definitely stop you going out. Plan your trip wisely so that you could spend the whole afternoon in the aircond shopping mall. Tim Sum. The Tim Sum in Pavillion Hotel is one of my favourite Tim Sum restaurant. Don’t be surprised if you have to queue up for 1 hour during pick hour. There are several new concepts in Shenzhen, put some effort to experience those innovative business platform. Pick up Car Service (Di Di Car). Something like Uber. The convenient of Wechat and Alipay payment gateway. You could go shopping with smart phone. Spider web MRT system and bus line. Even you spend a week in Shenzhen, there are still many places you will definitely miss out. Don’t try to over stress yourselves while travelling especially during the hot summer day. Make it a free and easy kind of trip and I bet you will make the second trip to visit Shenzhen very soon. This entry was posted in Trip. Tags: China, shenzhen, trip.